The debt ceiling is currently suspended until May 19, 2013. Is the can being kicked down the road to give the G.O.P./Tea Party more time to work on destroying Social Security, Medicare and Medicaid, which I believe has been their goal from the time of the beginning of each of these programs? 1. Congress raised the Debt Ceiling 18 times under President Reagan! 2. Congress raised the Debt Ceiling 7 times under George W. Bush. 3. President Obama slowed spending to a level lower than it has been in 50 years and cut the deficit. When can "We the People" of the United States vote these Tea Party people out of the Senate and Congress? From the state of the Union speech 2/12/2013, I am reminded of the joke that Eugene Robinson told on The Alex Wagner’s show, after the President's speech. “Two dogs (republicans) sitting in a bar, one said to the other, ‘It is not enough that we succeed! Cats (democrats) must fail." And I am thinking that must be it! That is the mindset of the Republicans in general and the Tea-Baggers in particular. Why does it seem that conservatives hate Social Security? Do conservatives just hate the word social? Do they associate social with socialist/liberal (i.e. Social Security)? Or is it security that they hate? They don’t want anyone to have security but themselves? A fellow Hubber said that Social Security was not for the benefit of the poor and elderly. It was intended to go into the general fund. No wonder conservatives did not care when GWB raided Social Security surplus to fund his private war to carry out his vendetta against IRAQ. What if Social Security had been Privatized before the crash of 2008? And you were handling your own investments, then the Stock Market Crashes. Would you have lost $$$? And, who would you blame for your loss? Another argument the G.O.P. uses to undermine the excellently run program is to implant the idea that fewer active workers now support a growing number of retires. Linda Silva in the Dallas Morning News made the case that today’s workers produce more than four times as much wealth as they did before records were kept, and can easily support the right to retire. And there are more workers in today’s work force than ever before. Republicans continue to proclaim that Social Security needs to be reformed (they mean privatized or eviscerated.) They say how today's 65-year-olds won’t get back what they contributed. If all people received equal amounts or more than they put into insurance programs, insurance companies would go broke. Or the Insurance company premiums would be so high that only the filthy rich could afford insurance. Come to think of it, if the Greedy Old Politicians (G.O.P.) are allowed to eliminate Social Security, private insurance premiums will be unaffordable for the poor and middle class. These people would ‘PRIVATIZE’ or ‘eviscerate’ the government’s handling of Social Security, just so they can hand it over to private insurance companies. The reality: even if, it were true, which it is not. No insurance company could run Social Security as efficiently or effectively as our government run program. Where are the Republican voters? Where are the voters who are voting for these politicians who want to destroy or privatize Social Security? We all know that is the number one (1) target of the G.O.P./Tea party. But why? If they do eliminate Social Security, are they still going to take the tax for it out of people's wages and, if they do where is that money going to go??? Into their pockets??? What about you republican voters who are retired or getting ready to retire? Did you claim Social Security? Are you rich enough that you don't need that check? If you don't need that Social Security check coming in every month, even though you paid your FICA tax, you will not be forced to sign-up for it, but don't VOTE to take it away from people who need it just to live, we also paid into it! "Why is it that if you take advantage of a corporate tax break you're a smart businessman, but if you take advantage of something so you don't go hungry, you're a moocher?" The G.O.P./Tea Party politicians have demonstrated a hatred for ALL people on Food Stamps, calling them lazy and slothful. Or is the hatred demonstration a PLOY to turn over these programs to PRIVATE/PIRATE corporations? Would you also take away Food Stamps, from children and the elderly, just because you never wanted for anything in your life and have no idea what these people are going through? Or is it because, you were never hungry, never without money for the bare necessities, never without a place to live? 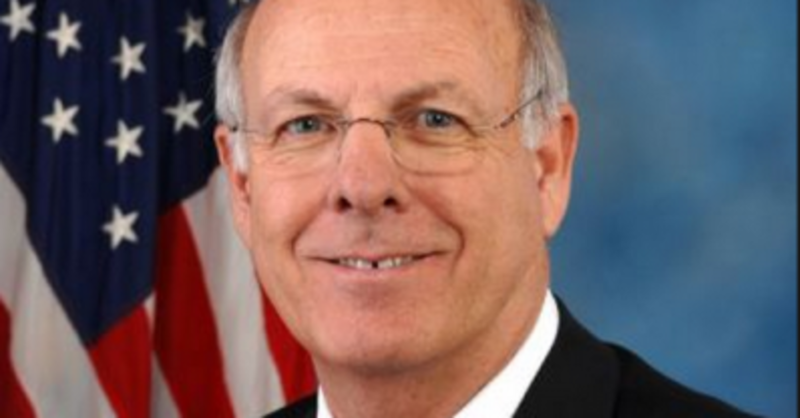 Congressman Steve Pearce who voted to cut the S.N.A.P. program has got HIS priorities straight. Yes! We all need them. That's the American thing to do. Get your priorities straight. Well Mr. Pearce has his straight and his priorities are to CUT 'Food Stamps' for children (SNAP) so we can afford for Mr. Pearce to fly and dine on our tax dollars. When can we vote Mr. Pearce out of office??? Cut food stamps for 900,000 of our military. One does not simply cut food stamps 900.000 veterans and then simply say they support veterans. March 10th 2013 - Paul Ryan in regards to the Republican budget told Chris Wallace the Republicans are going to repeal Obamacare. Repeal Obamacare, Chris Wallace asked. Chris Wallace: "Well, that's not going to happen." The U.S. Supreme Court upheld the constitutionality of the Affordable Care Act with the "individual mandate." Chris Wallace then, asked Ryan about his proposal to devastate Medicare, converting it to a renamed 'premium support system' from a voucher system. Ryan: "I don't have to tell you that this was a big issue in the campaign, between Romney/Ryan versus Obama/Biden -- They think they won and they thing that's one of the reasons they won -- and there are, congressman, a lot of independent studies that say, if you put this in effect, the net effect will be that seniors will have to pay more of the share of their health care costs." Do you think that seniors save their Social Security Checks? If you think that seniors save their Social Security Checks? Then you are at a Tea Party. All Social Security receipants spend their their Social Security Checks, just to survive. Isn't that putting the monies back into the economy? Did the 2012 Election Cause Republicans to Seek Secession? Debate is a process that involves formal discussion on a particular topic. In a debate, opposing arguments are put forward to argue for opposing viewpoints. You have no arguments against my comments much less compelling arguments. The FDR SS argument came from me way before Trump became a candidate. Scott what you are doing is not a debate, it is just a baseless name calling rant. I'll wait to answer anything until you respond to "What do you think the purpose of SS is?" "The U.S. Supreme Court upheld the constitutionality of the Affordable Care Act with the "individual mandate."" I don't care for Paul Ryan, but I don't like Chris Wallace either. The SCOTUS only upheld the ACA because they found the mandate as a Tax, and Congress has the almost unlimited power to tax. But that is hardly a reason for them to upend the tens of thousands of then existing medical insurance that would be forced out, and had to be replaced by ACA accepted insurance. And taxing people just to force them into getting ACA insurance tells you how bad was the ACA plan. These people were willing to pay the tax rather than get the insurance. "You do live in a Trump dream world don't you Brad.\"
B: NO, I live in the nightmare of Anti Trumpers, like you! "What you have done is proved how pathetic SS is for the people. " - REALLY? What do you think the purpose of SS is? Make people rich?" B: Of course not but after people contribute 50 years, and not have enough benefits to survive today that is a failed system. And the quote was about SS retirees not having enough money to save, and that is a fact, and why the system has failed. Retirees live in a economic time of the present while their SS benefits are from a time where they could have lived on the retirement. What I would think is that we the people should have the same retirements available to all of us. But federal workers have their own, and at a very expensive cost to the tax payers. Equality is fair, your retirement is not. "This doesn't negate the government using tax payer money to give all federal employees their very expensive and extensive benefits." - Not TRUE. If I wan't super great benefits, I would have gone work in the private sector." And how would that specifically be better?
" it is up to the shareholders to keep the CEOs in line" - Who the hell do you think run the BOD and are the biggest shareholders - CEOs and senior executives. They set their own wages."" And it was the government in 2008 and 2009 that didn't stop that when these CEOs had bankrupted their companies and used the bailout money to give them and their executive management teams 7 digits bonuses, based on these people being key people. Key people whose expertise was to run a company in the ground. What I said about the shareholders is still true, regardless of your comment. And it isn't any different than congress voting their own salaries and their own raises, and benefits, is it. You don't like all the people and that isn't your motivation for helping Convicted Illegal Alien Felons for example. You hate Trump and all of his supporters, and you are willing to take down the country to do it. I don't know what you did in the "service", but I hope it was more patriotic than what you do now. From the 16th amendment, and its implementation of the Internal Revenue Code to the FDR Social Security then to the LBJ tagging on Medicare, and then BHO with Obamacare. And this "SS just something the FDR threw out to the people because he never could save them from the depression. " is why it is pointless to debate with you. That kind of statement is straight out of the Trump alternate universe and is devoid of any logic and truth. ""Why is it that if you take advantage of a corporate tax break you're a smart businessman, but if you take advantage of something so you don't go hungry, you're a moocher?" The answer is that the former is good business, and the latter is mooching when you don't do anything else, and do it for long periods of time. The government giving a handout when it should be giving a helping hand. SS just something the FDR threw out to the people because he never could save them from the depression. That didn't happen until WWII came along. And it was ramping up in the late 1930s. SS was just a paper victory for FDR and its purpose was to have America believe that FDR was taking care of them. But as the decades went by SS became less and less important. Today it is meaningless except for those people that didn't have any options because the were wage earners and didn't have any more money than to just stay alive. Not only can't they save money from their SS benefits as I commented on, they couldn't save money from their wages. SS is a failure, but that doesn't mean that many people depend on it. SS is and was always a TAX. Ask yourself why government workers and school teachers were not included by FDR? You do live in a Trump dream world don't you Brad. "What you have done is proved how pathetic SS is for the people. " - REALLY? What do you think the purpose of SS is? Make people rich? "This doesn't negate the government using tax payer money to give all federal employees their very expensive and extensive benefits." - Not TRUE. If I wan't super great benefits, I would have gone work in the private sector.
" it is up to the shareholders to keep the CEOs in line" - Who the hell do you think run the BOD and are the biggest shareholders - CEOs and senior executives. They set their own wages. "Do you think that seniors save their Social Security Checks? All Social Security receipants spend their their Social Security Checks, just to survive. Isn't that putting the monies back into the economy?" B: Do you think that is true of the Defined Benefit retirement checks of the federal employee? What you have done is proved how pathetic SS is for the people. And it makes my statement true, that just because people depend on SS doesn't mean that it is a success. "AGAIN, Brad, you ignore the facts. First, so long as CEO's 300 or times that of their average worker and executives get paid such huge salaries when compared to those who actually let the company survive - then you can't claim they pay unfair wages to their line workers in order to stay in business. That argument doesn't fly with thinking people. This doesn't negate the government using tax payer money to give all federal employees their very expensive and extensive benefits. it is up to the shareholders to keep the CEOs in line, and the shareholder only care about their profit. If the CEO does good for them they don't care about how much they get out of the company. The CEO of the government are the people, and you are correct most people don't care that they are paying higher taxes to give federal employees benefits that they themselves don't get. That is why loyal party voters are sheep. To contrast congressmen with CEO and their executive management teams is that CEOs have to produce for their shareholders, while congressional candidates, and those running for reelection make promises, most of which fail they still put these people in office. If CEOs do this and the company goes in the red or even performing below their forecast, it has immediate repercussions, that have no comparison in the government. Loyal party voters act like loyal sports fans and they will stick with the team, and the manager most times. They did reject LBJ over his failure in Vietnam but that was a rare case. I am not opposed to the federal employee benefits, but I say it need to flow into the private sector to be fair. SS doesn't work, and by taking the FICA tax contributed by both the company and the employee could be privatized and each individual would vest based on their contribution. Also the amount of out of pocket medical costs between the FEHB and the healthcare of the public makes the 10% medical threshold not important to federal workers, but it does impact the public because their coverage forces more of the medical cost burdens on them. Also, I will repeat myself (copy, actually) "There is no inequality, Brad. I lived it, I studied it, the GAO studied it. The result is that if you are lower paid, the gov't is a little better deal , if you earn the medium range, then things are about equal, while on the high end, the private sector does better. I have told you that before but your refuse to listen." Repeating it doesn't make it true. The middle class in the public sector is not treated the same as those in the federal government. I gave you three pages of proof, and you ignore it. Just in job security alone the federal workers never see unemployment, but us out in the public experience it every year. There is no job security for non government workers, as companies have for the last several decades gone through successive mergers and acquisitions, RIFs, and moving their companies to other states. Inequity can be proved just by showing that both sides don't have the same treatment, and they can be found in those three pages I sent you. "B: I am advocating that servants not be treated like masters," - SPOKEN like a true wanna-be slave holder. They said somewhat the same thing 200 years ago to justify keeping their slaves and indentured servants." You can't be serious making that statement. These slaves were emancipated, and there was never any expectation that they would rise to masters any more than the non slaves. The Civil War is over, but you want to redo it. Here I am talking about the government treating their employees like a master giving them the benefits of the fruit of their corruption, while playing Robin Hood with the rest of the people. You and the left supported gay marriages because they couldn't marry and that according to them was unequal under the 14th amendment. How is that any different than treating federal employees different the the rest of the employees. Is the difference because the government is itself immune to the 14th amendment. While, in fact congress is immune to even the laws they pass, but that doesn't make it fair. I won't both to once again copy the comments that I made and you left unanswered. AGAIN, Brad, you ignore the facts. First, so long as CEO's 300 or times that of their average worker and executives get paid such huge salaries when compared to those who actually let the company survive - then you can't claim they pay unfair wages to their line workers in order to stay in business. That argument doesn't fly with thinking people. "B: I am advocating that servants not be treated like masters," - SPOKEN like a true wanna-be slave holder. They said somewhat the same thing 200 years ago to justify keeping their slaves and indentured servants. "So what Brad? Who cares? The fact the taxpayers want to pay those who serve them a fair wage has nothing to do with the fact that the private sector won't, in many cases. " B: The reason that the private sector can't give their employees these expensive government employee benefits is because they have to stay in business. And to do that they have to match revenue with expenses. The government makes these unfunded liabilities to these benefits that just increases the need to increase revenue, and taxes. The taxpayers should care, and these are not fair wages and benefits as viewed from the country at large. This is as much the inequity of the rich versus the poor and how the Internal Revenue Code supported by both parties allows the rich to get richer, and to tax the not rich wage earners more and more. The democrats plan of taxing the rich more and more doesn't work because of the IRC. If they really wanted to fairly tax the people including the rich, a National Sales Tax much like those in many states would be more effective. This is not the same as a fixed income tax, because it replaces the income tax and becomes a simple sales tax applied equally to all the people. You are advocating that America lower its standards to the lowest common denominator. B: I am advocating that servants not be treated like masters, and they should not receive as a matter of course better benefits than their masters. For a start, the congress should only be allowed to get what plans are available to the public. They should be made the examples of the people and reflect how their voters live under their legislation. If taxpayers wanted to pay civil servants less, they would get their representatives to do that. Other than you, I doubt that anyone has written their Congressmen telling them to pay civil servants terrible wages and benefits. B: This is a result of the loyal party voter, who are sheep. It should actually be the congress that has that as their party goal. Congress doesn't represent the people, they represent their financial backers, and third party interests. The loyal party voters are pawns, sheep who only live to vote for the party, and once registered they are expected to vote for what ever the party wants, and once they vote, they are not important until the next election. For example, the target are the 1% rich, and yet all the tax plans just tax the 90% more. The 90% can't effectively use the IRC to escape or even reduce their taxes, while the rich are immune. Yes, the 1% pays the bulk of the income tax, it is only a small fraction of their wealth. Since, the 2008 economic collapse, Bill Gates has more than doubled his wealth. How many of the 90% have done any fraction of multiplying their wealth. Wage earners don't have any resources to do that. And while you are not concerned with the congress increasing the medical deduction threshold to 10%, it is one of the most costly expenses and can even wipe out savings, and instead of allowing 0% and helping the people the government doesn't help them. And this lack of usable tax deductions affects the middle class, as you say the poor don't itemize. This was a Regan created problem, along with his congress of both parties. As to those "At Will" contracts - that is your fault. Democrats would do away with them but your side of the aisle loves them." B: Why didn't the Obama congress of 2009 do something about it? I don't have a side, and you would know that if you read my articles. The republicans are the lesser of two evils, but they are evil. It is not like the democrats don't have their rich, and they don't make legislation to help those rich. It took both parties to keep the US in continued wars for at least the last one hundred years. These wars were lost or won depending on your definition of winning. But using my definition they were all lost. There were clear losses like the Democrat created Vietnam War, and those started by both father and son Bush. War is a big business and it is manipulated by both parties for their rich backers. 911 was an example of how trillions of dollars of money from both parties over the years produced a failed national defense system that was bested by a 19 terrorists for pennies, not trillions. This loss was no different that the successful attack on Pearl Harbor 60 years before 911. The At Will Employment Contract is unconscionable and it should be removed by congress on its own initiative. It is a one side side non negotiated contract where you either agree to it or you don't get or keep your job. It is not just one party that keeps these inequities alive and well, it is both parties. Why didn't the democrats when they were in control of congress and the presidency write the necessary immigration laws, or the gun control laws they want the right to write? The democrats and the republicans are two sides of the same corrupt coin. So what Brad? Who cares? The fact the taxpayers want to pay those who serve them a fair wage has nothing to do with the fact that the private sector won't, in many cases. You are advocating that America lower its standards to the lowest common denominator. As to those "At Will" contracts - that is your fault. Democrats would do away with them but your side of the aisle loves them. And here is a summary of benefits. And remember this is what every federal employee gets, and in the private sector the bulk of workers work on an At Will Employment Contract that is mandatory and they either take it or don't work. Maybe 1% of the 133 million workers get something as good as every federal worker. According to data from US Bureau of Labor Statistics (BLS), the federal government employs over 2 million civilian workers. That’s about 1.5 percent of the nearly 133 million workers BLS counted in all industries in the United States. Along with salaries or wages, employee compensation in the federal government includes benefits such as subsidized health insurance and many more. Federal government employees enjoy a wide range of "family-friendly" benefits that go far beyond insurance and retirement. Each agency is free to offer its own benefits package. The following is a sample of federal government employee benefits. Federal Employees Retirement System (FERS): Benefits based on the amount of service and salary history. Thrift Savings Plan (TSP): In addition to the defined or basic benefits provided by the FERS plan, current federal employees can boost their retirement savings by participating in the Thrift Savings Plan (TSP). The TSP offers the same types of savings and tax benefits as a 401(k) plan. Social Security: Credit earned while working with the Government. Retirement benefits, disability protection, and survivor protection. All federal employees hired after 1983 pay Social Security taxes, including the President of the United States, the Vice President, members of Congress, sitting federal judges, certain legislative branch employees, and most political appointees. The government collects these taxes in the same amounts as they would if these employees worked in the private sector at the same salary level. Medicare - Part A: Available to you at no cost at age 65. Federal Employees Health Benefits Program (FEHB): No waiting periods, required medical exam, or age/physical condition restrictions. Federal Employees Group Life Insurance (FEGLI): Group term life insurance - Basic life insurance and three options (Standard, Additional, and Family). Leave and Holidays: 13 days sick leave each year; 13, 20, or 26 days of vacation leave each year, depending on years of service; 10 days paid holiday each year. Family Friendly Leave Flexibilities: Flexible Work Schedules; Telecommuting; Family Friendly Leave Policies; Employee Assistance Program (EAP); Part-Time & Job Sharing Positions; Child & Elder Care Resources Adoption Information/Incentives; Child Support Services. Work/Life Programs: Every Federal agency has an Employee Assistance Program (EAP), which has a goal to restore employees to full productivity. More specifically, the EAP provides free, confidential short-term counseling to identify the employee's problem and, when appropriate, make a referral to an outside organization, facility, or program that can assist the employee in resolving his or her problem. Recruitment Bonus: Lump-sum bonus to newly appointed employees for difficult-to-fill positions. Up to 25 percent of basic pay may be paid prior to the employee entering on duty. A service agreement with repayment plan if service time not fulfilled. Relocation Bonus: Lump-sum bonus for difficult-to-fill position in a different commuting area; up to 25 percent of basic pay. A service agreement with repayment plan if service time not fulfilled. Retention Allowance: Continuing payment to retain departing employees; up to 25% of basic pay. Student Loan Repayment: Permits agencies to repay the student loans of Federal employees; used at the discretion of the agency. Long Term Care Insurance Program: John Hancock and MetLife formed Long Term Care Partners, a jointly owned new company exclusively dedicated to serving the long-term care insurance needs of the Federal Family. Child Care Subsidy Program: Federal agencies, at their own discretion, can use appropriated funds, including revolving funds otherwise available for salaries, to assist lower income federal employees with the costs of childcare. You always ask me for proof and that is why I didn't send the links so it is clear. Average government salaries are competitive with the private and nonprofit sectors. Pay can also increase fairly quickly for top candidates with strong education and experience. Federal benefits, including health insurance, retirement and vacation, are extremely competitive with, if not superior to, other sectors. Where do you want to work and live? Whatever the answer, chances are you can find federal government work there. Most people think that federal government jobs are all in Washington, D.C., but in fact 84 percent of federal government jobs are outside of the D.C. area. More than 50,000 federal government employees work abroad. There are federal jobs suited to every interest and skill, from art history to zoology. Government is also a great place to combine your skills with your interests. For example, you could use your mathematics background and your interest in the environment by working as an accountant at the Environmental Protection Agency, your engineering degree to improve airport security, or your biology degree and interest in medicine to conduct cutting-edge medical research at the National Institutes of Health. There's a stereotype that government buildings are filled with endless rows of drones shuffling paper in cubicles, basically doing a whole lot of nothing on the taxpayer's dime. This couldn't be further from the truth in today's civil service, where government workers are leading and innovating on issues such as developing vaccines for deadly diseases, fighting sexual and racial discrimination, keeping our massive systems of transportation safe, and navigating the diplomatic waters overseas. Flexible work schedules, including telework, are a major plus for those with busy schedules or long commutes. And, of course, everyone's favorite: federal holidays (Columbus Day, anyone? ), plus generous vacation and sick leave. All of these packaged together make government an attractive employer if your are looking to have a life outside of work. You will have many opportunities to move up the ladder in government, but you will have to be proactive. Many agencies use Individual Development Plans, as official format for working with your supervisor to plan your short- and long-term career goals within government. An internal Merit Promotion Program helps ensure that once you are in and doing a good job, you will have easy access to information about job openings within government. Government managers understand the value of continuing education for their employees, not only to consistently improve the skills of the people already in government, but also as a way to entice people to apply for positions. The government offers excellent training and development opportunities and has human resources personnel to help you connect with these opportunities and choose which courses are right for your career path. Government work is steady and secure, an attractive selling point, especially when economic times are tough. The federal government offers assistance with educational loans through two programs: the federal student loan repayment program and the public service loan forgiveness program. Through the Federal Student Loan Repayment program, participating agencies may award $10,000 a year, up to a total of $60,000, towards the payment of your student loans. In return, you have to work at that agency for at least 3 years. All 15 cabinet-level departments participate in the program, plus more than 20 independent agencies. Many agencies specify the types of degrees necessary to qualify for the program and will tailor their plans to recruit highly qualified candidates for hard-to-fill positions. If you are interested in applying, contact an individual agency to find out more about their specific loan repayment program. Many agencies also include information about loan repayment on their websites. Through the Public Service Loan Forgiveness Program, the government will forgive the remaining balance on your eligible student loans if you have worked in a public service job for at least 10 years. The federal government offers generous vacation, sick leave and holiday policies. When you first enter the federal workforce, you will receive 13 days of paid vacation per year, and your number of vacation days increases with your length of service. You can also carry over up to 30 days of vacation time for the following year. Federal employees accumulate 13 days of paid sick leave each year regardless of length of service. You are not limited to the amount of sick leave that can add up over time. Sick leave can count for any of your own medical needs, if you need to take care of anyone in your family, are having a child or are going through an adoption process. All federal employees receive 10 days of paid holidays per year. See the 2019 federal holiday schedule. Do you despise the idea of working a traditional eight to five job? Are you worried about being in a stuffy office all day long? Or maybe you want to lessen your carbon footprint through reduced travel? No matter the case, one advantage of working in the federal government is the opportunity to have an alternative work schedule. Alternative work schedules help keep life balanced and, therefore, keep both agencies and employees happy and engaged. Alternative Work Schedules allow you to balance work and personal responsibilities. There are two main types of Alternative Work Schedules: Flexible Work Schedules and Compressed Work Schedules. Flexible Work Schedules allow you to build a custom schedule as long as you maintain 40 hours per week. Agencies establish core hours of business, typically from 10 a.m. to 3 p.m., during which employees are required to work. Their additional work time can then be completed anytime between 7 a.m. and 10 p.m.
Compressed Work Schedules give you the flexibility to work 40 hours per week in less than 5 days. Typical compressed schedules allow employees to work 9 hour days which means they can have a 3 day weekend every other week. Some agencies may even allow you to work 10 hour days resulting in 4 day work weeks every week. Part-time work or job sharing allows you to facilitate the lifestyle you need while still progressing in your career. Part-time employees work less than 40 hours per week. Job sharing, a form of part-time employment, is a situation where a single position is filled by two or more part time employees. These federal employees each work up to 32 hours a week. Telework is a benefit of federal employment that allows you to work from home or another convenient location. By law, each agency must establish a telework policy, so eligible employees can have the opportunity to utilize this advantage. Here are some government benefits. The government provides its employees with a first-class benefits package. In fact, studies conducted by the Bureau of Labor Statistics reveal that the gap concerning benefits between the private and public sectors has been growing-in favor of the public sector. Once you've been selected to be a part of the government team, you'll have access to first-class health care (and other) benefits. Through the Federal Employees Health Benefits Program (FEHBP), federal employees, retirees, and their families enjoy the widest selection of health insurance plans in the country. More than 200 plans participate in the program, so you can choose the plan that best fits your individual healthcare needs. Specific benefits vary by plan, but no plan requires a waiting period or a medical exam to enroll. There are no restrictions based on age or physical condition, and the program provides guaranteed protection that cannot be canceled by the health plan. Your federal agency will cover the majority of the health care costs, usually between 70 and 75 percent. A flexible spending account allows you to put aside some of your pre-tax salary to pay for common out-of-pocket expenses. The federal government offers a Health Care Flexible Spending Account of up to $5,000 annually. You can use it to pay for any eligible health care expenses not covered by the Federal Employees Health Benefits Program, such as over-the-counter medications or plan premiums. The government provides all employees with a comprehensive retirement benefits package named the Federal Employees Retirement System (FERS). This system includes three different contributions to your retirement. Each pay period you’ll pay a small amount to the Basic Benefit Plan and your agency will pay one percent of your annual pay. This plan also provides for long-term disability and survivor benefits for your spouse and children. You must have worked at least five years in the federal government to receive retirement benefits from the Basic Benefit Plan. The Thrift Savings Plan (TSP) offers benefits similar to a traditional 401(k) plan. Whether or not you choose to contribute to this account, your agency will contribute one percent of your salary. They will also match a certain amount of what you personally contribute each pay period, up to five percent of your salary. As you progress in your career, you will earn credit for your Social Security account and pay taxes for this program in full. Social Security will supply you with many benefits including disability and protection for your survivors. This tax provides a benefit to persons who are retired, unemployed or disabled. The Federal Employees’ Group Life Insurance (FEGLI) program is the largest group life insurance program in the world. It covers over 4 million current and retired federal employees and their families. Unless you waive coverage, almost all full and part-time federal employees are automatically enrolled in a life insurance plan equal to their salaries. As with health insurance, employees do not have to prove insurability, so no physical is required. All federal agencies offer Employee Assistance Programs (EAPs) — a free, voluntary service to help employees address issues that negatively affect their job performance and personal health. Staffed by professional counselors, EAPs help employees overcome problems like alcohol and drug abuse, work and family pressures, and job stress. Child and dependent care: There are many different programs available to federal employees for child and/or dependent care. It’s best to talk to the human resources representatives at your particular agency to find out what specific child or elder care is available in your workplace. Looking for companies still offering pensions? The retirement benefit plans in the United States are undergoing a tumultuous change, with many of the erstwhile global giants feeling the burden of the existing defined benefit pension plans too heavy and resorting instead to adopt the 401 (k) or hybrid plan. From coast to coast, the conglomerates have been busy changing their plans to escape the mounting retirement benefit payments and out of the largest companies in the US, only seventeen percent have persisted with the defined benefit pension plans. Most of them however, are restricting this facility only to existing employees up to a particular cutoff date and are offering the new hires only the revised 401 (k) plan. There is no inequality, Brad. I lived it, I studied it, the GAO studied it. The result is that if your are lower paid, the gov't is a little better deal, if you earn the medium range, then things are about equal, while on the high end, the private sector does better. I have told you that before but your refuse to listen. Further, 14 Fortune 500 companies have pension plans that make FERS pale by comparison. So "There are no private sector equivalents" is another false statement from you. B: Every government employee gets Defined Benefits, and with the exception of the companies from the other above, only a very few employees in the private sector get them. While it may be categorically false, it is effectively true, and therefore it is inequality. I work in the private sector and I work for many types and sizes of companies and most of their big employees dwindled over the years, while it the years didn't change the federal employee benefits except to get better. We keep hearing about the income inequity and the rich aren't taxed enough. Yet, there seems to be little interest in the inequity of people working for the federal government versus those working in the private sector. Most benefits received by federal employees have no real equivalent in the private sector. The question is not that they have very expensive perks, but why do we the taxpayers have to pay for them? Shouldn't they be equal to what is available in the private sector? These are the two biggest benefits. Federal Employee Retirement System (FERS), a Defined Benefits Retirement. Federal Employee Healthcare System (FEHS), Very Excellent and Expensive Health Benefits. "That is partially true, that unlike your FERS, the contributions into SS are not defined as a employees contribution, " - SO what, who cares? You are making a mountain out of your personal gripe where not even a molehill exists. You are right, not many corporations have a defined benefit plan - about 14% of the Fortune 500. But not too long ago, it was 59%. But then the world changed and the relationship between employees and employers changed. Large employers used to be loyal to their employees and as a result, employees stuck around for a very long time. Pensions made sense then. Now corporations come and go, they merge, they separate, in short, the corporate world is very unstable today. Employees are now very mobile, out of necessity. Pensions simply don't make sense for these entities anymore. The gov't, on the other hand, is stable. The workforce doesn't turn over much. Consequently, a pension works. It drives loyalty and gives incentive not to participate in inefficient and costly job-hopping. Bottom line, pensions are fine in certain circumstances and FERS is one of them. What private engineering company did the State of California hire to design the rail system? The State certainly doesn't have the expertise internally, so they hired a private contractor to figure it out. Are you saying this (these) private businesses have no "business sense"? I thought you understood what a profit motive is. I guess not because it isn't "The profit motive should be to provide a service at the lost cost of tax revenue. " "he better plan was the original plan, and that was to have a small central government and they would handle being the country interface to the world, and they would deal with the conflicts of law involving the states. " sounds good to conservatives but that is NOT what the writers of the Constitution had in mind. If they had you you think, then the Preamble wouldn't even be needed would it. B: Who learns anything from school in CA, just look at their education record. The profit motive should be to provide a service at the lost cost of tax revenue. You confuse profit with overrun, they should definitely reduce overrun. The space program was a perfect example, and that is why more and more of it is going private. The California government is the worse in providing services. That excel in raising taxes and giving their employees lucrative benefits and pensions. These pensions are all unfunded and a taxpayer liability. We have a $100 billion high speed rail project that keeps increasing the budget, keeps delaying and the current date is somewhere after 2030. Florida at least has some what of a high speed train already running. The High Speed Rail Authority officially broke ground on the project in Fresno back in early 2015. Since then, construction crews have have been working on a 119-mile segment of track in the Central Valley. For now, this means building out the track's right of way and its necessary bridges, trenches,..
B: Now if anyone with a business sense would control this project it wouldn't start in the middle. And if it did, it would start on built up areas parallel to highway 99, it would start on the sparsely I5, and they wouldn't have to have law suits on trying to buy property rights. This is a high speed train, and not a local train that has to stop at all those towns on highway 99. I5 is a straight shot and little in its way on property rights. In the last 4 years they could have been building tracks. Even better would be to start at both ends and not worry about Sacramento. Have concurrent building at both ends. San Franciso to San Jose, and San Diego to Los Angeles. These two areas probably have half the population of California, and as you build you would have a ready ridership of millions of people. Then once you complete that stage of connecting SF to SJ and SD to LA you can then focus on the central valley. If possible the I5 rails could also be concurrent. But the way the government does things is to make projects benefit the government workers, make it last long, and increase the work force of government employees. The infrastructure in CA has not kept up with the doubling of the population, and water and fires are very expensive. This is the way that you want the Federal Government to run the country. The better plan was the original plan, and that was to have a small central government and they would handle being the country interface to the world, and they would deal with the conflicts of law involving the states. But today, thanks to bad decisions by SCOTUS, everything is a federal issue. We didn't know how lucky we the people were when we only had double taxation. "The point is why are taxpayers paying their Public Servants like they were the Masters. While the Master are left with poor entitlements like SS and Medicare. That is the way it is working, but that is not the way it should work." - THAT is so wrong in every respect, I don't know where to begin. So I won't."" You mean you can't, I understand that because you can't argue against what I said. Wrong in every respect, can you name even one way that is wrong. We were doing so well going over details and now you bail. Thanks for at least trying, I appreciate it. "Now you got it Brad. FERS is managed by a contractor hired by the gov't who sets the rules. As you remember, there are 3 components, and also remember, I belonged to FERS: 1) the defined benefit which both the employer and employee pay into, 2) a Thrift Savings Plan (IRA) which the employer and employee pay into, and 3) Social Security, which the employee pays into. If you noticed this is EXACTLY the same as many private corporations. So what is your problem. First of all it is not like many private corporations. Who has a defined benefit plan in the private sector? Defined Benefit means you know you won't get less than that benefit. Most other plans are Defined Contribution and there is a big difference. The latter tanked in 2008 but the former didn't. Second, Yes the employee contributes to all three, but so does the employer. And in the private sector this is not common, most are 401K and if an employer contributes it is limited and not that substantial. I don't know of any private corporation or public traded corporation that has this at all much less exactly. My problem is that these benefits along with all the other benefits is very expensive and it is not a budgeted benefit. You know how FERS loads up in the last three years to make the benefits substantially increase. Like the term Illegal Aliens, the term Public Servant is turned upside down. At worst case the public should be able to get these same programs. And government employees make more out of contributing to SS than the rest of us. "Yes, the Supreme Court has defined Medicare and SS as a tax. It did NOT define ACA as a tax. Instead, it defined the mandate as a tax. The mandate is what allowed the ACA to be constitutional. And that was even a hail Mary play by the SCOTUS make it constitutional. Three democrats TAXes for three bad programs. " SS COULD remain in the black if Congress would stop dipping into the trust fund and not paying it back. Because Congress will always maintain SS viability, it is by definition NOT a Ponzi scheme. By your definition, ALL forms of insurance are Ponzi schemes. That is partially true, that unlike your FERS, the contributions into SS are not defined as a employees contribution, it just goes into the well. Whereas, FERS is defined and owned by the employee. And FERS has a defined time when the contributions end, and the benefits begin. SS doesn't have that, wage earners continue to contribute as long as the earn a wage. Death benefit for SS hasn't changed since 1937, but the cost of funerals and burials has increase substantially. $255! Congress has also made rules where SS benefits can be reduced when it is early retirement. SS is a Ponzi scheme because, it needs new contributors to keep it in the black. And that is why government employees were added to the program. This kept them in the black until the baby boomers started to retire and even got early retirement. The FERs retirement is not a Ponzi because the government puts in unfunded money to match any deficit because it is a defined benefit program. SS isn't even a defined contribution plan as history has shown the increase in contribution, and the limits on what income it stops. SS didn't have a chance at success because the government and congress control it. SS needed to be run like a business, in the same way that FERs is run by being closed ended. SS is open ended and at the whim of congress, FERs is protected from the government. "As I said, SS is a component of my FERS retirement plan, not separate from it." B: It may be part of it, but it is separate from the Defined Benefits Retirement. "You DO NOT stop contributing to FERS after 20 years. You keep contributing to it so long as you are working for the gov't. You keep contributing to SS until you stop working period." B: The difference is that with FERS you can stop contributing and get benefits at 20 or less years. You can't do that with SS. And after retiring from government, you can work and you will not have to contribute anything into the defined benefits you are receiving. Yes, you will have to contribute into SS like the rest of us. "I repeat myself - what Congress gives, it can take away. CONGRESS CAN KILL FERS if it wants to. In fact Trump is trying to get Congress to cut FERS benefits right now." B: What congress gave were three taxes to satisfy three democrat presidents, and none of the three plans are viable. Once again, just because people are dependent on all three of these programs doesn't mean they are successful. The government fails at anything that requires business sense, and that includes SS, Medicare and ACA. SS should have been privatized like a special 401K where the employers are forced to contribute an equal share into it. With the new minimum wage goal of $15 an hour, it would seem that the minimum SS benefit should be $2400 a month, but I believe it is only half that as an average. I have worked as a defense contractor on many government projects here in CA and I know the waste that is generated, and the inefficiency the government embeds into their projects. As for Medicare, it doesn't come close to what government employees get from FEHS. "By congress raising it means that they thought that the medical deductions would go higher because of ACA." - that makes no since. Most people who use ACA don't make enough money to use itemized deductions anyway, So how would it effect the threshold? B: Then what did cause the congress to raise the threshold. You have no proof about your statement Most people, what people, how many people. ACA got rid of most of the insurance coverage that non government employees had, so these people including the one making enough money to itemize are part of it. If the government wanted to help the people, they would have given a zero percent medical deduction threshold. This would have helped much more than the ACA. "I have paid well over $100,000 into SS and Medicare over my lifetime, it doesn't sound like much of a so-called hand-out to me. Does it to you readers?" B: I didn't coin the word "entitlements" or give it the congressional meaning of handout. Now you got it Brad. FERS is managed by a contractor hired by the gov't who sets the rules. As you remember, there are 3 components, and also remember, I belonged to FERS: 1) the defined benefit which both the employer and employee pay into, 2) a Thrift Savings Plan (IRA) which the employer and employee pay into, and 3) Social Security, which the employee pays into. If you noticed this is EXACTLY the same as many private corporations. So what is your problem. Yes, the Supreme Court has defined Medicare and SS as a tax. It did NOT define ACA as a tax. Instead, it defined the mandate as a tax. As I said, SS is a component of my FERS retirement plan, not separate from it. You DO NOT stop contributing to FERS after 20 years. You keep contributing to it so long as you are working for the gov't. You keep contributing to SS until you stop working period. I repeat myself - what Congress gives, it can take away. CONGRESS CAN KILL FERS if it wants to. In fact Trump is trying to get Congress to cut FERS benefits right now. I have paid well over $100,000 into SS and Medicare over my lifetime, it doesn't sound like much of a so-called hand-out to me. Does it to you readers? "The point is why are taxpayers paying their Public Servants like they were the Masters. While the Master are left with poor entitlements like SS and Medicare. That is the way it is working, but that is not the way it should work." - THAT is so wrong in every respect, I don't know where to begin. So I won't. "Social Security and Medicare Along With Obama Care Are Just Taxes"
my hub answers your questions. I see, Brad, you still have no clue about FERS, FEHS, SS, and Medicare and the interrelationship between them. Since we covered that ground long ago, I won't elucidate. - FERS is a gov't program administered by contractors they hired. B: FERS is privately managed, and it is a defined BENEFIT retirement. That means you don't get any less than what is defined when you retire. You keep saying that I am wrong, yet you don't show how. The difference between FERS and SS is that FERS is based on an individual and unlike SS you are vested. Your contributions are your contributions, while SS the contributions go into a government low yielding trust fund. And that is why SS can't stay in the black. It depends on new blood, just like a Ponzi scheme. SS retirement as I said can take 50 years of contributing, while FERS is a defined 20 years and you stop contributing. Again, SS contributions never stop as long as you earn a wage. You think that SS is good when you have to contribute that long and when you retire you get a lot less that a FERS retirement. Even the rules for calculating your benefit is so different between SS and FERS. Congress can get rid of SS at anytime, the only thing stopping it are voters. While FERS is protected. B: That is not the issue, I referenced the ACA as they were called the affordable health care, and even though the ACA was to lower the costs of healthcare, the medical deduction threshold should have gone down. By congress raising it means that they thought that the medical deductions would go higher because of ACA. And why should the government not give the people on Medicare a very low or zero percent deduction threshold. - What are so-called "liberal handouts" that aren't "helping hands" - you need to include definitions of each. B: By congress calling SS and Medicare entitlements is the same as a handout. We the democrats are protecting your entitlement, but at the same time there is always talk of changing it to save money. So the democrats use the SS and Medicare entitlement to keep their and I say their because that is the classic democrat voter. The ones that are dependent on these entitlements. The other handout are the tens of billions of dollars given to the illegal aliens, free education, free medical, welfare even though they shouldn't get it. Why do we need to give illegal aliens citizenship, driver's licenses, and other benefits afforded citizens. - FERS was created by a "whim" of Congress and it can be uncreated by the same so-called whim. It would really help if you got your facts straight. "FICA is a TAX the SS and Medicare are Entitlements, and that sounds like another handout. Yet, many people contribute to it for 50 or more years, and as long as you earn a wage you never stop contributing. THESE ENTITLEMENTS are at the whim of congress, but your FERS is not." SS and Medicare need Business people to run it for a profit, SS couldn't generate enough investment when the contributions were high and the retirements were low because congress made sure that the ROI was very low. Now the retirements are high and the contributions are low. B: You didn't answer the question did you. Why are you always such a condensing person? I grew up in NYC and never had a civic class that even broach that thought. "You always say that government shouldn't be run like a business, but SS and Medicare need to be run like a business, much like your FERS is being run. It should have been run privately like your FERS". The point is the FERS is run like a business and not like the government run SS and Medicare. That is another reason why SS and Medicare should be privately run. B: This is what I said. "Just because people rely on SS and Medicare doesn't mean that it is a good system, it just means it is their only choice. :"
You totally missed all the points, and your answers were just one big red herring. The point is why are taxpayers paying their Public Servants like they were the Masters. While the Master are left with poor entitlements like SS and Medicare. That is the way it is working, but that is not the way it should work. That is also why the democrats are giving handouts like SS and Medicare, when they should be getting FERS like benefits. FDR and LBJ didn't help the people by creating SS and adding Medicare to it as well. Condescension is not an answer it is an opinion. I would hope you have some answers. - Your last statement clearly reflects on your inability to understand how a society works. Not everybody can be wealthy, you know, it just doesn't work that way. What people need is a helping hand not the liberal handout. The handout given by the liberals is not help and it is not benevolent, it is buying voter loyalty, just like their wanting open borders and citizenship for the illegal aliens no matter how they got here. To the liberals these voters are dogs waiting for the meal. Why do federal employees get FERS and FEHS while the rest of us on get SS and Medicare. Why did the congress in 2013 raise the Medical Deduction Threshold to 10% especially in light that Obamacare was affordable. If you want to help the people than give them O% instead of 10%. In addition, why should SS benefits be taxed, and why should it be added to your current gross income. FICA is a TAX the SS and Medicare are Entitlements, and that sounds like another handout. Yet, many people contribute to it for 50 or more years, and as long as you earn a wage you never stop contributing. These entitlements are at the whim of congress, but your FERS is not. Liberal presidents FDR and LBJ started and kept these entitlements going but the republicans and democrats in congress continued it for 81 and 53 years. You always say that government shouldn't be run like a business, but SS and Medicare need to be run like a business, much like your FERS is being run. It should have been run privately like your FERS. Just because people rely on SS and Medicare doesn't mean that it is a good system, it just means it is their only choice. What the GOP hates about the issues mentioned in your title is that they are all for the purpose of helping people. GOPers dislike the very idea of helping anyone except themselves. They complain about assistance programs continually -- except for tax cuts for the super wealthy. They're OK with that even when the tax cuts don't apply to themselves. With this current shut down, if the Republicans and their star member Trump, don't do their job pretty soon (end the stalemate & open the government back up) and keep everything shut down for months and years as Trump has threatened, there won't be any assistance programs, SS, Medicare, or anything else. Just one huge depression, especially with the trade wars giving the economy a head start on a crash. Take care dear friend . . . Thank you Au fait for the comments. "No Brad, I don't ignore your so-called detail. And as I have explained why many times before, they are simply not true, your details are false." Well ME then stop the drivebyyyyyyyyyyyyy nothing comments like this and show how they are wrong. Just because you think they are wrong is not the same as proving them wrong. Republicans are very suspicious of the word "compassion." It's sort of long and they haven't the faintest clue as to what it means. How do you explain the definition of a world like compassion to someone who has never felt it for anyone or anything? It's like describing a color to someone who has never seen that color, or imagining a color You have never seen. Republicans have no compassion. It simply doesn't exist for them and so they imagine it must be a commie pinko word. The very idea of caring about anyone but themselves is totally foreign to them. It is impossible to explain to them in any way that they can conceptualize, why they or anyone would want to help someone else, especially someone in need. Poor people are like human cockroaches or human rats in a Republican's mind and allowing poor people to eat will only cause them to reproduce and increase their numbers. Republicans have actually made statements to that effect. It is the concept of helping someone else that Republicans find so abhorrent. That explains their aversion to food stamps. Social Security and Medicare are another matter. Republicans still view these programs as handouts, even though all working people, including most Republicans, have paid into these programs all of their lives. They are certain people who receive these benefits when they finally qualify, are getting a freebie of some sort from the government. That's perfectly OK in their own cases, but the idea of other people benefitting from a program they've paid into all of their working lives interferes with Republican's sleep more than you might think. Those Republicans in charge know that if they can trick people into letting them privatize SS and getting rid of Medicare totally, they and their wealthy contributors will be able to add lots more money into their own coffers. Keep in mind that most of the money wealthy people have is by cheating their employees and their customers, so cheating disabled and elderly people out of their savings is second nature to them. They have no conscience. Their every thought is how to get something for nothing and then accuse everyone else of their own ugly thoughts and deeds. Anything that benefits any other person or thing besides themselves will never be popular or acceptable to Republicans. If that isn't enough, they actually seem to take some sort of sick pleasure in other people's misery. Keeping other people poor and destitute feeds their sadistic addiction to other people's misery. Mr. Trump has exemplified Republican so-called principles. He has orchestrated and demonstrated what they mean when they say things like family values, patriotism, godliness, etc. You only have to think of how Trump ordered little children, toddlers, and even babies to be separated from their parents and put into cages to cry and cry and cry and cry and cry and cry . . . to know the definition of Republican family values. Another recent example (last December): "trickle up" economics where the little money that some people had is now going to the wealthy in this country through tax breaks said to benefit the middle class (a lie) that in reality benefit only the rich. The 4% tax paid by the wealthy in order to provide subsidies to poor people to buy health insurance was cancelled in that tax bill so that starting in 2019, 10-15 million people will again be without health insurance, which translates for many people into no access to healthcare. Republicans cannot be reasoned with because the bottom line is that they care nothing about anyone except themselves. For that reason, it is impossible to be a Christian and a Republican at the same time. Jesus Christ requires us to help one another and to serve each other, especially children and the poorest among us. He said if we love one another it will make up for many of our other sins. You don't treat people you love the way Republicans treat the poor and disabled or those people who are going through difficult times. Suggest a law where it is legal to take anything you want from poor people, assuming they have something to take, and see how quickly the Republicans jump on the bandwagon to get that law passed. What do you think all these laws that make it illegal to be poor in this country are all about? If Jesus were living in one of these tent cities, and he might well be since He was homeless all of His adult life, officials would bulldoze His tent and belongings along with everyone else's and leave Him to figure out what to do without even the little He had taken away from Him. Next they would ask Him to give them salvation and eternal life, not realizing He was the same man they had abused so horribly, because they didn't recognize Him. No Brad, I don't ignore your so-called detail. And as I have explained why many times before, they are simply not true, your details are false. "Brad - maybe I have been misreading you! A statement like "And the Congress should factor those rewards into making laws and regulations to make parity for the private sector. " makes me think you are a socialist. Are you a socialist? Not at all, I am just using the same logic used by your party to get anything they want using the 14th amendment. You know that I don't identify with any party or any ideology. I have my own. You are never going to get around the fact that federal pay and benefits are merit-based and set roughly for equivalent work in the private sector for large companies. There is no equivalent in the private sector. I gave you details, but you ignore them. I will also repeat myself - those in the lower General Schedule grades do a little better than the private sector for similar sized corporations and those in the higher GS grades do worse. So what is your beef?" Once again, I gave you my reasons which your summary doesn't recognize or repeat. Why do you ignore my detailed explanations? In this century, the private sector workers have not had parity with the federal workers. When people are out of work, for example, they don't even have a comparable salary with a GS1. What is your understanding of the term "Public Servant"? Mine is that they work for the public, it doesn't mean they should be treated better than the public, especially when these perks come from the taxpayers. I know, the federal workers pay taxes, but at least they get the perks from the tax revenue. This also covers government employees state and local. Their pensions are not funded, and they have added benefits the way that they load up the last three years of work to maximize their benefits, for example. I am not saying to take these away from them, I am saying that a similar program be implements for non government workers. Brad - maybe I have been misreading you! A statement like "And the Congress should factor those rewards into making laws and regulations to make parity for the private sector. " makes me think you are a socialist. Are you a socialist? I will also repeat myself - those in the lower General Schedule grades do a little better than the private sector for similar sized corporations and those in the higher GS grades do worse. So what is your beef? "So, Brad, your position is that simply we choose to serve America, we should be as screwed as many of those in the private sector? I was very clear in my position, and that wasn't it. Where is the equality? Not a smart question, imo. The bottom line is the federal government has chosen to be a responsible, good employer unlike many private sector company. The federal government is there for the people, and using tax dollars to be a good employer goes against the fact that if they were such a good employer, why do they need a union? Unions were created to stop bad employers from mistreating and abusing their workers. And the democrats give equality to illegal aliens but you think equality for Americans is not a smart question. A party that lives by Equality should die if the equality is limited to only those areas they choose. You are looking at this from the wrong viewpoint. That being if the taxpayers of American can afford to give these kinds of benefits and these kinds of wages, then they should strive to see that the people they work for are on parity with them. Public Servant versus Master. "Benefits shouldn't be given to one sector while not available in the other sector." The reason I offer this absurd example is that if you say "No, that is not what I mean" then the next question is how much better pay and benefits than what the private sector can earn is too much, in your opinion? ME you were doing so well, then you have to bring emotion into it with your attack of saying it is "absurd". That is a valid question, and it can be and should be answered in detail as opposed to a perfunctory single word. The American people should know why public servants get more rewards than they do. And the Congress should factor those rewards into making laws and regulations to make parity for the private sector. For starters that could get rid of the current private sector "At Will Employment Contracts". Then apply whatever is the minimum wage for federal employees be the same for the country. Just a few things they could do. Equality is Equality, not just what the left thinks should be equality. The big push for everyone in the private sector to be equal should also include the public sector. Fair is Fair. First let me stop you right here, several studies are not facts, they may contain data but shouldn't be construed or deemed as facts. done while I was with the government showed that on the lower end of skilled jobs, federal employees did do better than their private sector counterparts, mainly because the federal government is, by and large, and ethical employer. Once again, why does an ethical employer need a union to represent their workers? But when you get to the kind of jobs I worked in, we were clearly in an inferior position - by about 10%, if I recall correctly. So if they gave you 15% more you would have no problem working in the private sector instead of the years working as a federal employee? Don't forget to factor in the job instability in the private sector. There are many people in 2008 for example, that not only lost their home, they lost their livelihood, and the government never tried to bail them out, while giving the companies that caused the meltdown enough money to allow them to give key employees 7 figure bonuses. Key employees that bankrupted their company. How many federal workers have lost their jobs in the last several decades? How many incompetent federal workers are protected from being fired? I worked with many of them. On a personal level, I know I could have gotten a better paying job with better benefits working for one of the companies I oversaw doing exactly the same work. I chose not to because 1) I liked what I was doing and 2) I liked serving my country (something many of us felt)." A better paying job that you may be laid off, fired, or the company disappears from sight because of mergers and acquisitions. And they have no comparable retirement plan, don't have many of your other benefits like FEHS or TSP. Today, the country is filled with out of work "C" level people, and while GS15 are not in the category, they are the top salaries in the federal GS system, but they are not the highest paid. There are also many below the "C" level that are also out of work, because of the flux in the industries. In the last several decades we have seen so many mergers and acquisitions, and that is the recipe to lose many workers just from duplication, but also when the surviving company moves out of state for its business. None of these realities of the private sector phase the public sector, does it? So, Brad, your position is that simply we choose to serve America, we should be as screwed as many of those in the private sector? A point of fact is that several studies done while I was with the government showed that on the lower end of skilled jobs, federal employees did do better than their private sector counterparts, mainly because the federal government is, by and large, and ethical employer. But when you get to the kind of jobs I worked in, we were clearly in an inferior position - by about 10%, if I recall correctly. On a personal level, I know I could have gotten a better paying job with better benefits working for one of the companies I oversaw doing exactly the same work. I chose not to because 1) I liked what I was doing and 2) I liked serving my country (something many of us felt). We agree on SS as you state it. It is not a question of private companies screwing their employees, the question is why do federal employees get such good benefits? They are public servants, and they get benefits befitting a master. Congress makes the laws, and the laws benefit themselves as government employees, as well as all federal employees. Benefits shouldn't be given to one sector while not available in the other sector. Where is the equality? Actually, I do agree with you that, at a minimum, SS benefits should have a flat tax. But further, I don't think they should be taxed at all; people worked very hard for those benefits. "Is this the same SS for the private sector?" - Are you asking "is the SS I contributed while in FERS the same has the SS I contributed to before and after my gov't service? If so, the answer is yes. "Seriously, the federal unions, like so many big unions in the US have so much political pull, I can't take what you say seriously" - Having spent 20+ years in the civil service at all ranks I can tell you the Only areas where unions had power are 1) working conditions and 2) firing. That's it. "I have asked this many times before" - Yes you have. And I ask back - why shouldn't they? Many private companies offer much better benefits and many private companies offer worse. My company offers benefits that are probably 80% as good as the fed. If my small company can, then so can almost any other private company. So, it is not the federal employee's fault that a lot of private companies screw their employees and Republicans fix it so they can't unionize to protect themselves from abusive employers. "Reread my comment. While the Supreme Court justified them as taxes, that wasn't Congressional or Presidential intent. There is a big difference. And again, for the mandate, the Supreme Court "justified" the mandate as a tax, and that hasn't changed. While this Congress chose not to enforce, the next Congress could." I did understand your position, but don't you think it is a difference without a distinction. Do you really think in its application that is compares with what the taxpayers provided retirement for the federal workers? A privately non government managed "Defined Benefit" retirement plan. That means the benefits can never be lower, while they can go higher. Most non government plans are "Defined Contribution" but the benefits are not protected. The good intentions are paved on the way to Hell. In this case, the good intentions of FDR were never applied. And today, we shouldn't confuse dependency on success. And why should people that work for wages have to never stop paying these taxes, even when they are receiving SS benefits? This supports my statement about them being Taxes first. As long as a person earns wages they are forced to continue to contribute ot SS and Medicare. In addition, when SS benefits are taxed as part of the AGI it can cause major taxes, especially if one spouse is still working and making good money. If these benefits are to be taxed they shouldn't be included in the AGI, they should be flat taxed like capital gains. Don't you think that would be a fairer way to tax SS benefits? The federal poverty line is constant across America, there is no COLA adjustment. It is true states may have different rules, but not the Fed. Yes, but government employees can compensation in their salaries for the different areas of the country. Why shouldn't that apply to SS benefits. Giving the same benefits to people retiring in West Virginia and those in Los Angeles is not fair. Yes, I get SS. I covered that in my comment. "Under FERS, the pension was significantly reduced and employees now contributed only 1%. To ALMOST make the loss in income, employees were added to the SS system and a type of 401K plan was developed where the gov't matched up to 5% on an employees contribution. For most employees, this was a worse deal (terrible if the market crashes before they take all of their money out of the 401K (TSP). I was an exception because I had contributed so much into SS already." Is this the same SS for the private sector? What is worse than SS alone? Yes, FERS did replace CSRS in order to save money for the tax payer, but federal unions have no say over it, just Congress. Seriously, the federal unions, like so many big unions in the US have so much political pull, I can't take what you say seriously. I have asked this many times before, "Why should the public servant get FERS, FEHS, all the holidays, sick leave, vacation (5 weeks or more), all kinds of leave, and other benefits not available in the private sector"? Also, while million in the private sector work under an "At will employment contract", the government workers, thanks to their unions have protections against firing, layoffs, and other dismissals? Thank for your response. So the items in my previous comment that you have not addressed here, should I consider them as you agree with them? Was the FDR intention for SS and its failure in its application, comparable to president Obama's ACA tax intention? Where he said, If you like your doctor, you keep your doctor, and if you like your health plan you keep your health plan. Is it a failure of his intention for ACA or didn't he really know enough about the ACA that these statements were false. It is a valid question, because, it was his ACA and if he didn't know how it would be implemented then what was it? The fact is that no one really read the voluminous depth of the ObamaCare documents. And if you tried to read them you would find that you had to keep cross indexing back and forth with the then existing plan. And even though there are many lawyers in congress, they didn't really read it, and if they did if would be difficult to understand it. This is relevant because it follows my comment on SS as a tax, and Obamacare was passed as a tax, otherwise it would have failed SCOTUS deciding it was constitutional. Because SCOTUS rarely is ever finds anything in to do with taxes as unconstitutional. Your are welcome, and thank you for providing an open discourse here. Reread my comment. While the Supreme Court justified them as taxes, that wasn't Congressional or Presidential intent. There is a big difference. And again, for the mandate, the Supreme Court "justified" the mandate as a tax, and that hasn't changed. While this Congress chose not to enforce, the next Congress could. Brad, thanks again for your input to this article. Myesoteric, thank you for you explanation of SS. Brad, thank you for the comments, but I stand by everything I have written in this article. ike Obamacare, Social Security was not conceived as a tax, but an insurance plan. Like Obamacare, conservatives objected but the Supreme Court decided the mandate it was justified as a tax. SS, Medicare, and Obamacare are TAXES. Obamacare however doesn't tax because Trump took out the fine for people that don't want insurance. The average SS benefit in 2018 is a little more than $1,400/mo pretty close to the poverty threshold. I get about $2,200 because I paid so much into it over my lifetime. The poverty line is not the same across the country. your Social Security benefits are still based on your 35 highest-earning years. Not everyone who pays into the Social Security system qualifies to receive retirement benefits. To receive Social Security benefits on your record, you must have at least 40 credits. You generally earn four credits per year that you work. In 2018, you'll receive one credit for each $1,320 you earn, up to four credits per year. FERS was created for the gov't to get out from under the pension burden of the CSRS system. I belonged to both because I switched since I had almost all of the quarters needed to qualify for SS. Under CSRS employees contributed 7% of their income to their pension while the gov't kicked in the rest. No social security was taken out. Under FERS, the pension was significantly reduced and employees now contributed only 1%. To ALMOST make the loss in income, employees were added to the SS system and a type of 401K plan was developed where the gov't matched up to 5% on an employees contribution. For most employees, this was a worse deal (terrible if the market crashes before they take all of their money out of the 401K (TSP). I was an exception because I had contributed so much into SS already. And this is worse than just having SS? BTW, the fund was overseen by the gov't who set the rules and hired a contractor to do the day-to-day operations. You are also quite wrong about the TSP. I lost about 20% of the value of my TSP in 2006 when the market corrected, before I managed to move everything over to safe treasury bond option. After that scare, I moved my money back into more risky options but returned to safe treasury bonds shortly before the Great 2008 Recession that I knew was coming. Unfortunately, many other TSP participants weren't so lucky and were effectively wiped out in 2008. So NO, our TSP investments weren't protected unless you were 100% vested in the very safe but very low return Bond fund. I wasn't talking about TSP, i was talking about the defined benefits pension. Congress can kill FERS anytime it wants just like it did away with CSRS. It replaced it, didn't they. And you think that federal unions would let that happen? It would take too long to research, but your comments about SS death benefits and FERS don't ring any bells with what I was taught about it. It may be true, but I doubt it. The rational behind SS was never to let the retired poor starve to death like they were in the 1929 depression. It was never designed as a living wage and it has never been part of the general fund, it is still a Trust Fund. It was also left alone until President Johnson began borrowing from it to fund his "guns and butter" policies. Every Congress since then has borrowed from the SS Trust Fund. And my point is do they do that with your pension fund? It is a Ponzi scheme, because it requires new blood to pay for those that retire. "The Social Security Lump Sum Death Payment (LSDP) Benefits are a federally funded program managed by the U.S. Social Security Administration (SSA). A surviving spouse or child may receive a special lump-sum death payment of $255 if they meet certain requirements." It apparently hasn't changed since 1937. Many people confuse their dependency on SS when they retired, with a good pension plan. SS is not a good retirement plan today? It would be good if we could take the FICA tax and apply it to a real defined pension plan that is assigned to a person, not a country. And managed privately. First - let’s talk about eligibility rules. Then we’ll take a closer look at each leg of your FERS "
The FERS Basic Benefit Plan is a defined benefit plan for federal employees hired after December 31, 1983. Federal agencies contribute funds to FERS on behalf of employees, in an amount defined by law. Upon retirement, FERS participants receive a benefit based on their highest three consecutive years of pay and number of years of service. FERS participants are vested after five years of creditable civilian service, meaning they have a right to receive retirement benefits even if they leave federal government employment before retiring. You may find more information about FERS from the U.S. Office of Personnel Management. And what is wrong with privatizing SS? FERS is basically privatized. And the money that the government contributes to it, comes from the taxpayers, whose private employers don't have the money to contribute and stay out of the red. 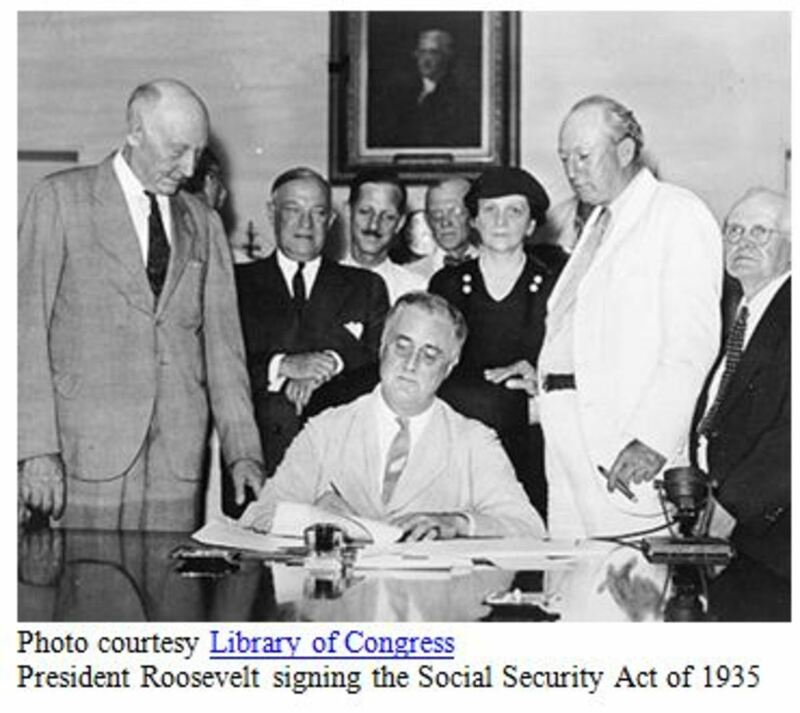 Like Obamacare, Social Security was not conceived as a tax, but an insurance plan. Like Obamacare, conservatives objected but the Supreme Court decided the mandate it was justified as a tax. "Do conservatives just hate the word social? Do they associate social with socialist/liberal (i.e. Social Security)? FACT: Social Security is a TAX. It is collected as part of the FICA Tax. The average benefit from Social Security Retirement is under a $1,000 a month. That would be a reason to get food stamps today!. The congress had to add workers that were not originally included in the FDR plan because SS is basically a Ponzi scheme. And adding more people to contribute to the system is proof. The Federal Employees were added, and these employees didn't need Social Security benefits. They have FERS the Federal Employee Retirement System, and this includes a privately managed, not government managed Defined BENEFITs retirement fund. That means that the benefit cannot be lower than what it was defined at the beginning. So while many 401K pensions took a major loss, FERS didn't lose a penny. SS is government managed and this allows the Trust Fund to be part of the general fund. And that allows congress to use it as a piggy bank. Unlike FERS, congress can kill SS at anytime, although that would be a big loss in votes, but they could still do it. The amount of benefits can be changed by congress to even lower the benefit. There is no assurance of any payment by SS. And if you are married and your spouse dies, all you get is the option to take the bigger benefit. But under FERS your spouse's pension benefit can be lump summed while you can keep your or the spouses SS as well. The answer can be factually verified just by looking at who benefited more congress or the person? And how many times has the SS Trust fund been used for other purposes? But the third part was the important part, and neither party since 1937 has chosen to implement it. No wonder conservatives did not care when GWB raided Social Security surplus to fund his private war to carry out his vendetta against IRAQ." Au fait thank you for the comment. Believe me I do understand how it goes with rents and the land lords want to get rich over night. Everything is such a mess that you could not believe, but I would have to explain on the phone. Most Republicans, certainly the ones in office, hate the very thought of helping anyone in any regard. Heck, they don't even want to pay a reasonable wage for work performed so people don't have to rely on food stamps and other assistance. It's been 10 years since the fed. minimum wage went up, but everything else has gone up many times. Rent is impossible. The average efficiency apt. here is $600 or more. Many minimum wage workers are homeless. 43% of homeless people have at least one job, some have more. My old apartment where I lived before was $655 a month (2014). That same apartment is now $900! Rent has gone so high in the last few months, but wages certainly haven't. City ordinances prevent more than a certain number of people from living in a certain amount of space. Otherwise it would take 30 or more people at minimum wage just to pay for an efficiency. We live in a sick world where people who work 40+ hours a week can't provide for their families or even a roof over their own heads. Guess which political Party brought that about? Yes, the Hoover Party. This is just one reason "why we can't all just get along." Hope everything is the best it can be under the circumstances. Take care . . . Au fait, I know how hard it is for folks who don't have a job too and I feel like the ones who have the top political jobs, who have never experienced hard times will never be able to relate to people who have fallen on hard time, so they have no empathy for anyone else and their greed keeps pushing them to take away from people who have less so they can catch up with the people who have more than they do. I sure hope I am making sense, this is how I feel. We have standing water, but we are not flooded. It will be many days before I can cut the grass. The town is complaining about our tall grass. So sickening. Wonder what 'they' are doing to pubic assistance programs when we're all watching the presidential election shenanigans and aren't watching them? People who have access to showers and who have a roof over their heads and aren't starving tend to find jobs and get back on their feet faster. Sharing. Hope you aren't flooding down there. Rained so hard my car leaked like a sieve for a while. We're to have rain for the rest of today and through Saturday. :( Hope all is well with you and John. Blessings and hugs dear friend Both of you take care . . .
You forgot unemployment. You have food stamps, Social Security, and Medicare, but you left out Medicaid and unemployment. In addition to cutting food stamps still again, I just read yesterday morning that 11 states have or are cutting the length of time unemployment benefits can be received from 26 weeks down to 13, and that the benefits are being lowered also. I really think they want all poor people to die and get out of the way, but of course there will never be an end to poor people. Whoever is making the least money and who has the least wealth will be the poor people in the society in question, so whoever is at the bottom will be the poorest even if they're all millionaires. Wonder if they realize what they've set in motion? I read that the GOP wants to starve the poor people to death, and if they win the election the elderly are next. Thank you for the comment and for sharing. There's another cut in food stamps in the works. Lots of people will be pushed off the program entirely. That should make some people happy. Sharing. Hope all's well with you. Take care . . . Au fait, thank you for the comment and for sharing. 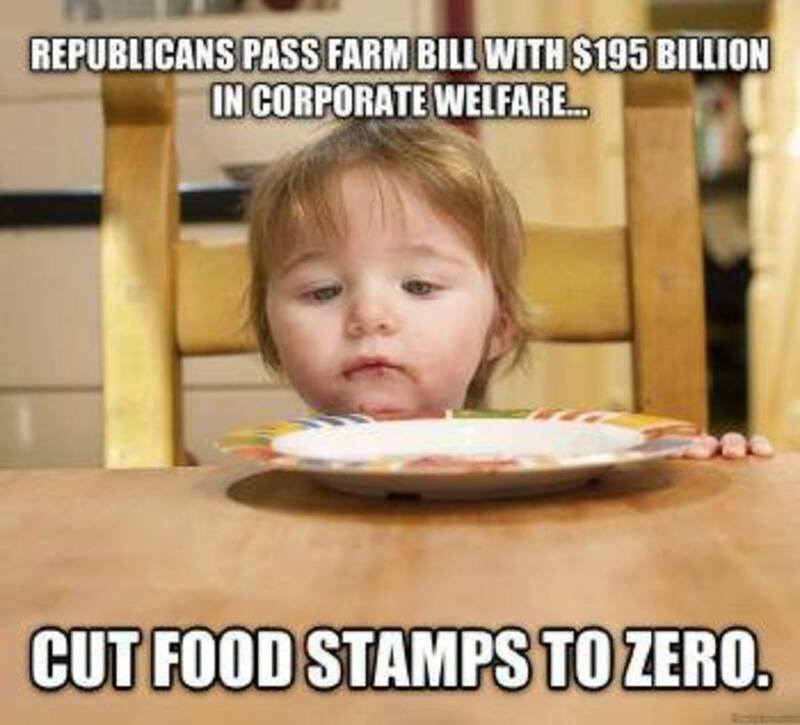 Food stamps is just one of the many things the tea baggers want to cut. We hope that all is well with you also. Yes, this is true. I just witnessed something so horrible last night that I am still shaking right now. It was a town council destroying 1 council member who disagreed with the others and the had a witch trial at the council meeting. It sure seems so, doesn't it. I've heard food stamps are being cut yet again. It seems that some people want to make life as hard for poor people as they can. Never having been poor themselves they apparently don't know how hard life already is when people are poor. Really, I think they jus want poor and homeless people to die and get out of the way. Mr. Scrooge was apparently prolific behind the scenes creating more Scrooges. Scrooge: "If they would rather die," said Scrooge, "they had better do it, and decrease the surplus population." I think that may be the hope of many people today. Hope you and John are both doing well. Blessings and hugs dear friend. Take care . . .
My Esoteric, thank you, I did not have ADHD yet but I am working on it, lol. My Esoteric, thank you for the comment, I appreciate it very much. I did not know this (Medicaid, Federal "401" plans, and Obamacare are effectively privatized) or I had forgotten it, as soon as I have the time, again, I will be researching "The Affordable Care Act" (Obamacare) although I don't know what that has to do with cutting food stamps or Social Security and Medicare and the Veterans Administration. Thanks again for the comment, blessings and Hugs. While the VA and Social Security are not, things like Medicare, Medicaid, Federal "401" plans, and Obamacare are effectively privatized to the degree that private companies compete to do the mechanics of each of those programs. Obamacare has even more privatization bound up in its regulations in that it tightly regulated like airlines once were. But, beyond that Obamacare is effectively a private operation. Au fait, thank you for sharing this again, for the comments and everything. I just heard today that Jeb Bush wants to privatize VA benefits. Strange thing for someone who never served in any way. Maybe he believes like Ann Romney that serving (lol) as governor is equivalent to serving in the Armed Forces. The only thing I can think of is the children who were 10 years old when "W" left office did not think about politics and now they will be 18 for the Presidential election and know nothing about the shenanigans of these people who want to shut down the entities of our government, i.e. the military, USPS, the VA, Food Stamps, Medicaid, Medicare and Social Security. All is well here now. Hope all is well with you. It's expected that 11 million more people will now be kicked off of food stamps since the GOP has voted to cut food stamps again, cut Medicare and Medicaid, and cut health insurance subsidies. Then they wonder why they aren't more popular . . . and their supporters claim not to know anything about this. Can you imagine voting someone into office and not keeping up with what they're doing? Hope all is well there. Still problems here in Denton from that horrific storm yesterday. Take care . . blessings . . .
My Esoteric, some things are better left unsaid. Thank you again for coming back. Well, good instinct, I may have earned $5 in 5 years, lol. My Esoteric, thank you for the comment. I don't have a reason, just following my instinct. I see you don't bother with the Amazon program. My Esoteric, thank you for your comment. I really appreciate you. Your step-daughter is fortunate that she has you and your wife to help her. My step-father always seem to find a job wherever we were, with the exception of when we were in California one year when the money ran out and we lived on the beach for a couple of adventurous weeks until Dad found a job and a rental house (Do you believe in the paranormal) then we stayed there for that school year. Dear Jaye, thank you for your comments, up votes and sharing. Yes, I did read the essay from the link that you shared, it worked just fine. 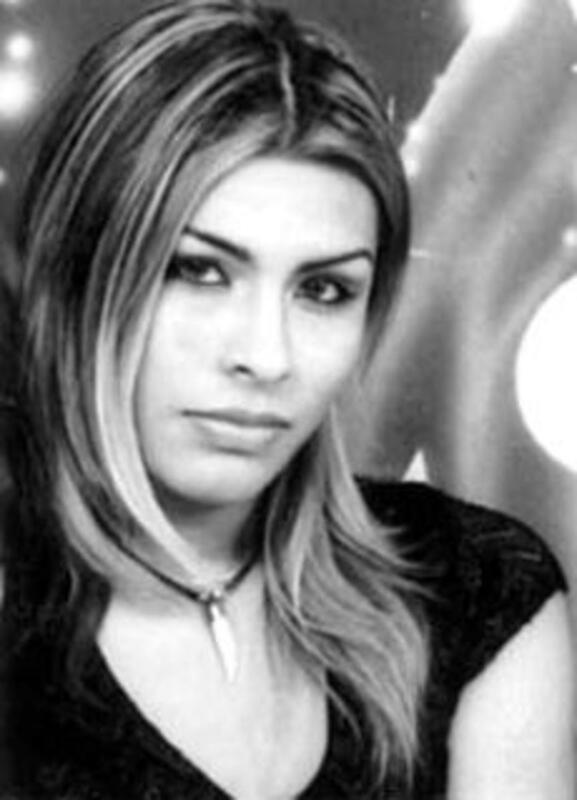 I saw the movie that was made about this girl/woman. Yes, I know and know of many people who believe that anyone who asks for or accepts welfare/food stamps is lazy and slothful and milking the system. I don’t know anyone who is milking the system, I think there may be those who are but don’t know them. I personally know people who have tried to get on welfare and food stamps and were turned down. If you are not a nice person, then neither am I. I also wish that any member of Congress who votes against the social programs that provide a safety net for the poor, disabled, downtrodden and needy Americans (To me it is not just a safety net it is a life line to existing,) and I hope they are given the opportunity to walk in the shoes of the people that they look down on and want to make those people more miserable than they already are. But these same members have passed a law, that it is against the law to be poor in many states, but do nothing to help the poor to out poverty and everything they can to push those who are middle class to become poor. I also hope that you don’t get the flu. Blessings and hugs to you my dear friend. Merry Christmas to you and your family. I watched my step-daughter and her family go through the same thing when her husband was abruptly fired and it took him two weeks to find a job at half-pay. They were considered middle class, now they are not and are living hand-t0-mouth, paycheck-to-paycheck. Fortunately for them, my wife and I are there to help, most people aren't that fortunate. The essay is a personal story that anyone with a heart should respond to, yet we both know there are many people without hearts or souls to feel compassion for those less fortunate. In fact, they refuse to believe that anyone who is poor didn't bring it on themselves with "laziness." The truth is, unless one is wealthy, the loss of one paycheck can cause a downward spiral due to getting behind in paying bills and never catching up. The loss of a job can cause hunger and homelessness. Other factors, such as physical illness, accidents and mental health issues also contribute to those outcomes. I suppose this makes me not a very nice person, but I wish that any member of Congress who votes against the social programs that provide a safety net for the poor, disabled and otherwise needy Americans will someday have the opportunity to walk in their shoes...to become the "them" they talk about in their "us versus them" scenarios. By the way, I love Au fait's comment about keeping the politicians' fingers out of Social Security! Au fait, thank you for the comments and sharing. I also hope there will be lots of donations to food pantries, thanks for the reminder. I have been there. If people would pull their head out they would see things that they have never seen before, and maybe would VOTE for people who would change those laws. Yes I am in a warm place (by the Grace of God), I hope that you are also in a warm, dry place. Blessings and Hugs right back to you. Every time of the year is a good time to think about the less fortunate and give a helping hand any way possible, but this is traditionally the time most people think about them. People have to eat year around, not just at Thanksgiving and Christmas. Hopefully there will be lots of donations to food pantries and kitchens, and to homeless shelters, etc. Given the laws against being homeless passed in so many cities across the country, it might be a good time to rally the neighbors, friends, etc., and everyone in a group take some nice warm food to the homeless people in their communities. Cops would have to arrest the whole crowd, so make it a big one. What great headlines for the newspaper on Christmas morning! "600 People Arrested and In Jail Christmas Eve for Giving Food to the Homeless"
Sharing this again. The program needs to be expanded and all those who don't believe poor people work harder than anyone else out of necessity just to survive, need to get a month of being dirt poor in their stocking from He who provides all things so that they can see for themselves that poor people are not the lazy slothful ones. It is those who pay not a penny in taxes every year, and there are thousands of them who do not, who are the true moochers in our culture. Hope you are in a warm place and enjoying the holiday season. Hugs and blessings, dear friend. Au fait, thank you for this comment, I appreciate you. I agree with you and My Esoteric, at least a combination of the both ideas. How do we implement these idead? Blessings and hugs (hubs? LOl) is this a gentle nudge to tell me to get going on a hub(s)? Lots going on right now that limits my time on here. Both of our ideas boil down to the same thing, cut Congress's salaries. I say don't pay them when they're on vacation at home, which is a little too often, and My Esoteric says only pay them on the days they work. Where's the difference? Agree with him that the work senators and members of the House do in their districts as well as overseas is important -- much of the time. bradmaster, nearly 30% of food stamp recipients are working and receiving the minimum wage. Creating more jobs, not minimum pay jobs, but good paying jobs that will support at least one person and ideally 2 or 3 so that an entire family with 2 working parents can manage would be great. The Millennial generation is much bigger than the baby boomers. There are plenty of people to pay into SS. SS is not in trouble if we can keep politician's fingers out of it. Read my article on what makes up the national debt and who we owe that money to. Most people just want to harp about it, they don't care about the truth. Trouble is, once the truth is available, shunning it for the sake of whining doesn't impress anyone who understands. Blessings and hubs to you too, Shyron. Hope your weekend is going well. Au fait, you are right, but I like My Esoteric's idea also, about paying our representatives only for days spent in session. Thank you my dear friend for the comments, up votes, and sharing. My Esoteric, you are free to comment on my hub anytime. You are truly appreciated. You say, Congress should be treated by the people as a team, and it doesn't matter who didn't score, but that the game was lost. The search for the guilty doesn't make a win, it just assigns blame. It doesn't change the outcome of the game. If you think this is a game and no one should look at who threw the game, maybe you should not even vote. Republicans continue to proclaim that Social Security needs reformed. (they mean privatized or eviscerated.) They say how today 65-year-olds won’t get back what they contributed. The people who pay into Social Security and Medicare (THESE ARE NOT ENTITLEMENT PROGRAMS) receive the benefits and people who did not, are not supposed to receive benefits. Did you not pay into these programs? 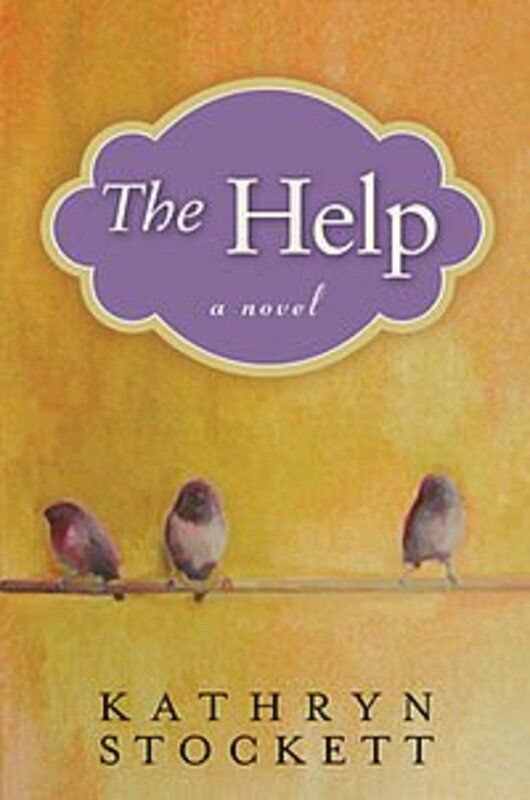 Did you read this hub? Or are you simply commenting on the comment by My Esoteric? I thank you for the visit! My Esoteric, I absolutely agree with you that we need to pay them by the day they are in session. I heard yesterday that they are on vacation until December 2. They want to wait till after the midterms are over so the know which way to go. I appreciate your comments, dear friend. We discussed SS and Medicare elsewhere. I would say Congress has worked, over the medium term, the way it was designed for most of my lifetime, until 1996; then it came to a screeching halt. Information economy follows Service. I had a lecture on that back in 1992 at the Air War College and damned if the guy wasn't right. Also, I sort of have to pick and choose what to respond to because, as you can tell, I tend to get a bit wordy and this isn't even my hub we are taking up space on. Actually, I would argue that Obama is the counter example, but nevertheless, I tend to agree with what you say on this subject. Hooray, on National Sales Tax. I find it interesting about what you don't comment about on my comments. Like my comments on FDR, SS and Medicare. As for why a better system wasn't created, that is politics. In addition, it is why I am so adamant that the congress creates a pathetic system for the private sector, but that system is not good enough for them, and the government workers. In 2008, it was 26 million people that were on food stamps. When China becomes a service country, where will that put the US? Congress needs to work together, but that hasn't been the case for over one hundred years, and before that i don't really care. It is up to the voters to stop voting Row A or Row B because they only feed fuel to the sibling rivalry between the parties. The parties pick the candidates the voters can choose from, but it is a conjuring trick, you always pick the one they want you to pick. Obama winning the DNC over Hillary is an example. Both parties use their registered voters to determine how many independents they need for a win. That is the problem created from being a loyal party voter. This is my reason why the country only moves to the left or the right, but rarely forward. Congress should be treated by the people as a team, and it doesn't matter who didn't score, but that the game was lost. The search for the guilty doesn't make a win, it just assigns blame. It doesn't change the outcome of the game. That's like saying people need air to breath, instead of food stamps. Would your solution be to force business to hire all available people who are willing and able to work and then pay them a living wage? I seriously doubt it would be, but that is the only way eliminate the NEED for food stamps for those who ARE willing and able to work as well as their children. The next category are those who work, but don't earn enough to live on, like E-1s in the Army and 60-year olds working at McDonalds. The solution there, of course, is to force their employers to pay them more money so they can afford to buy food without the need for food stamps. That, of course, isn't going to happen either. Your "people need to work" theory is a nice theory and could work if we were a socialist country, but fails miserably in the real world of capitalism. You say a better system COULD have been created. Then why wasn't it? Conservatives had 200 years to create one and failed miserably. Finally, FDR had to get the ball rolling so America would stop looking like Bangladesh every time the greedy rich people drove the country into another recession or depression; which they did every 5 to 6 years. Frankly, I don't like an America that treats its people the way we did for the first 2/3rds of our existence, its inhumane. Conservatives have been doing the complaining, not Congress. Somewhere around 3 - 5% of Americans draw true welfare and probably 30% of large corporations do the same. Somehow I don't think for individuals that qualifies as "The US is becoming a welfare country", but it might when you talk about large corporations. We agree on a national sales tax, I think. And some day, some other country will replace China as the manufacturing center (actually, it has already begun); that is simply the way economies grow. It won't be that long before China is mainly a Service oriented economy. I think that people need work instead of food stamps. SS and Medicare are TAXES first. The government didn't use the SS contributions to prepare for the days when there would be more benefits paid, then contributions made. Because they didn't invest wisely, they have created a Ponzi scheme. That is why they had to include government workers and other groups that were initially not part of the mandatory SS contributions. Medicare was tagged onto the FDR SS by LBJ in 1965, Since its creation, it has been the vehicle for extensive fraud. The donut hole or whatever it is shows how it is so ridiculous. Yes, there are some benefits from these mandatory tax systems, but a better system could have could have been created, if it was not under the control of congress. Congress has been complaining for a long time about how SS and Medicare are such a big drain on their budget, that they can't balance it. They blame the retirees, and the users of these system, and not themselves for creating them, and not taking care of them. The US is becoming a welfare country and maybe it is intentional so that the people are dependent on the "entitlement" programs. If the US didn't lose their manufacturing supremacy, and their automobile supremacy there would still be a lot of good paying jobs here. But, those jobs went to third world countries. Now China has replaced the US in manufacturing. Go to any tourist souvenir shop and all the local souvenirs are made in China, not in the US. I am still looking for something on which we can agree. This probably isn't a new idea, but your comment of cutting Congresspeople'salary because of vacation, made me think of an alternative, pay them by the day they are in session. Having said that, there are good reasons for 1) representatives to go to their districts to meet with constituents (assuming that is what most of their time is spent doing) and 2) taking foreign trips. Reasons: 1) the fear of Representative Government in a country as big as the original 13 States from day one was the representatives losing touch with those they are representing; how to deal with that consumed much time at the Constitutional Convention. And 2) because Congresspeople are supposed to also represent the interest the nation as a whole, not just their district, that means they need to be well versed in foreign matters as well, hence the trips. That said, I don't condemn them for a certain amount out of session, but what they do in practice verges on the criminal, in my opinion, especially while they leave children to live with the pain of constant hunger. I've been reading that food stamps are about to be cut again for thousands if not millions of people. 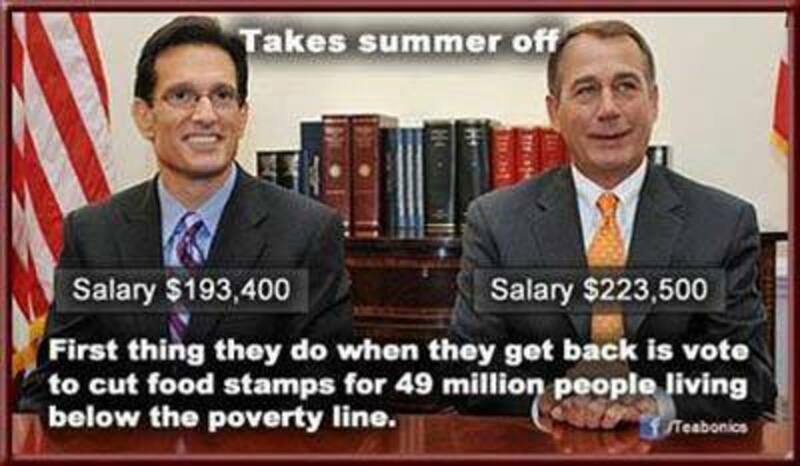 I think our Congress should cut their own salaries. Who wouldn't like to make 272,000 a year for sitting at home on vacation? Most of them aren't worth spit and that includes both parties. Voted up and awesome, and sharing on HP. Tried 3 times to pin to AH and it wouldn't let me. Have a good Thursday! Aunt Jimi, thank you for reading, commenting, voting up and sharing this again. You are so appreciated. You are right! Those people do not care about anyone but their own pocketbook. Read a sign on FB today that said babies and servicemen/women are the same to Republicans. They care while the baby is in the womb and the serviceman/woman is in the war, but when the baby is born and/or the serviceman/woman comes home, they don't care anymore if they starve or what. Well, the thing is, Republicans don't care when the serviceman/woman are serving either. They just cut food stamps not only to veterans, but to active military people who don't make enough soldiering to feed their families. Expect they've cut them to expectant mothers too, so really, they just like to whine and complain. Republicans don't care about anybody no matter who no matter where. Voted up and useful, interesting, again. Sharing too. @Pollyannalana, in reply to your denied post. 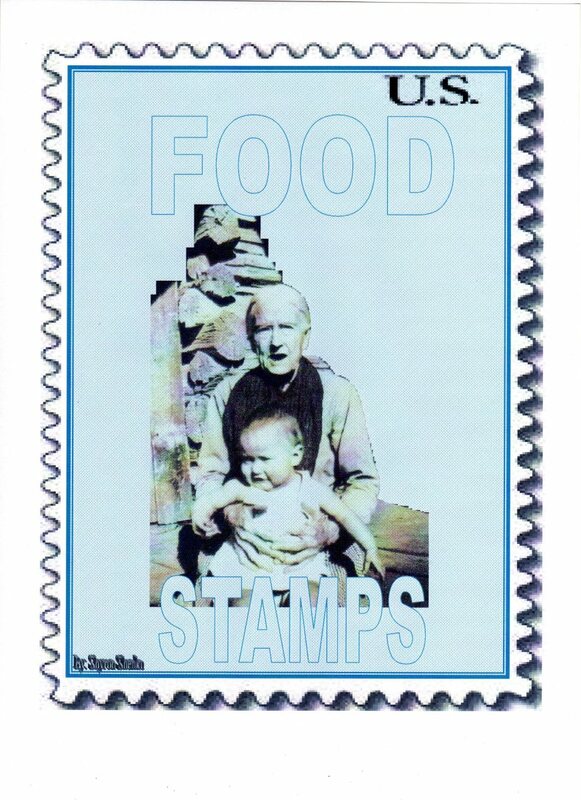 Food Stamps are not "HANDOUTS," They are a last-resort lifeline for hungry children and seniors. Unemployments benefits are not "HANDOUTS," They are a last-resort lifeline for workers who were laid off and are struggling to find a job in an economy that was imploded by Wall Street. Giving PROFITABLE CORPORATIONS TAX CUTS AND SUBSIDIES THEY DO NOT NEED, "IS A HANDOUT!" Yes! My Esoteric, I know you are right. I know also that the right plays on those racial fears. Anyone can see it in all the jokes that are passed around, and e-mailed. It is not as bad as it is going to get if Hillary runs, they are already trying to impeach her in effigy. That is Rand Paul via impeaching President Clinton again. I hope you write about the 5 Presidential exit polls, I would love to read it. The absolutely irrational fear about Obama simply amazes me. I am more convinced than ever that there is a racial component to it now that I completed my analysis of the 2012 Presidential election exit polls for a Hub on the 2014 Senate race I wrote. The suggestion that the color of his skin had a lot to do with the White vote is very strong although I won't be able to draw more conclusive results until I take a similar look at the previous 5 Presidential exit polls and compare them. Those polls could either entirely support the hypothesis or blow it up; but common sense and American history suggest the latter is not very likely. Thank you Paige, for your thought on this. I completely agree with you. BTW, how do you know THEY were illegal immigrants?